Cassandra Elizabeth Austen was born January 9th 1773 in Steventon, Hampshire to Reverend George Austen and Cassandra nee Leigh. She was the fifth child of eight and the Austen’s first daughter. Her sister Jane was born almost three years later and being the only girls amongst six brothers, Cassandra and Jane remained exceptionally close throughout their whole lives. 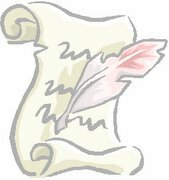 This is evident from the numerous letters that have survived addressed to Cassandra from Jane during their limited time spent apart from each other. When Cassandra was ten and Jane just seven, they were sent to a family member, Mrs Cawley, in Oxford who was going to educate them. She moved to Southampton and took the girls with her. An epidemic of ‘putrid fever’ forced the girls back to Steventon to their family. Two years later the sisters were again sent away but this time to Reading Ladies boarding school to be educated. During the early years when Jane started writing her Juvenilia, Cassandra would begin what was to be a very supportive, stable role to her most beloved sister. Cassandra has repeatedly been described in biographies of Jane as caring, gentle, selfless and a woman of ‘extraordinary emotional control’ (Spence). She even aided Jane’s The History of England by providing the illustrations of the famous monarchs. Cassandra is known for her talent in art. She is famous for producing two paintings of Jane. 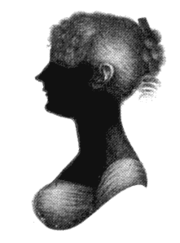 In 1804, she depicted a back view of Jane sat by a tree. The second, and most famous, was created around 1810 and is a frontal portrait which now can be seen at the National Portrait Gallery in London. 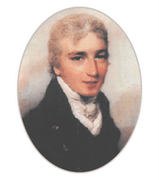 Cassandra fell in love with Thomas Fowle in 1794 when she was 21 years old and they became engaged. Thomas became a chaplain with the military and was sent to the Caribbean on a mission to earn an income to be able to marry Cassandra. Utterly devastating Cassandra, Thomas Fowle died in 1797 in San Domingo in the West Indies from yellow fever. She inherited a sum of £1000 (around £50 a year) from his death but she never married. From the rectory in Steventon, the Austen’s moved to Bath in 1800. When, in 1805, George Austen died; Cassandra, Jane and their mother moved to Southampton for a period of five years to be near their naval brothers Francis and Charles, before finally settling in Chawton, Hampshire in 1809. This dwelling suited them as it was near to Steventon where they grew up and felt most comfortable. Throughout their lives Cassandra and Jane always shared a bedroom and were rarely separated except when either of them was sent away to tend to the wives and newborn babies of their brothers. When they were apart they wrote daily but unfortunately Cassandra destroyed many of the letters; this remains one of the greatest mysteries. Was there something to hide that she did not wish to reveal? I think a quote that summarises the relationship between Jane and Cassandra can be found in the Memoir of Jane Austen. The extract is from Anna Lefroy's letter to James Edward Austen Leigh (JEAL), p. 160. "Their affection for each other was extreme; it passed the common love of sisters; and it had been so from childhood. My Grandmother talking to me once [of] by gone times, & of that particular time when my Aunts were placed at the Reading Abbey School, said that Jane was too young to make her going to school at all necessary, but it was her own doing; she would go with Cassandra; 'if Cassandra's head had been going to be cut off Jane would have her's cut off too' - "
Jane died in 1817 in Winchester with her head placed in Cassandra’s lap. Writing to her niece Fanny, Cassandra said: “I have lost a treasure, such a Sister, such a friend as never can be surpassed, - She was the sun of my life….I had not a thought concealed from her, and it is as if I had lost a part of myself” (Letter, July 20th 1817). After Jane’s death, Cassandra made it her duty to ensure that the last of her sister’s works made print; she organised the two remaining novels, Persuasion and Northanger Abbey, to be published. Cassandra lived the rest of her days alone in Chawton Cottage until her death on 22nd March 1845. She was 72 years old. She is buried at St Nicolas church in Chawton with her mother (who died in 1827). Austen-Leigh, J. E. (1871) A Memoir of Jane Austen and Other Family Recollections (2002 Oxford edition), Oxford World's Classics, Oxford. Copeland, E., and McMaster, J. (1997) The Cambridge Companion to Jane Austen, University of Cambridge. Ray, J. K. (2006) Jane Austen For Dummies, Wiley Publishing Inc, Indiana. Spence, J. (2003) Becoming Jane Austen, Continuum International Publishing Group, London. Pic 2: The watercolour of Jane Austen painted by Cassandra. Nice article, Rachel; truly summarises Cassandra Austen. I admit that I don't like her painting of Jane Austen, but that is also a legacy because it is after all the only original painting of JA we truly have. I think I understand why Cass destroyed the letters. She loved Jane too much to put more pressures towards her sister post-mortem. What she did not count however, was people like Anna Lefroy, JEAL and TEPL who kept digging even after Cass' death. Still, I don't mind having a sister like Cassandra. She's not perfect, but she's the best sister a Jane Austen could ever ask for. Wonderful tribute, Rachel. I like to think that Cassandra's support of Jane's talent enabled Jane to write her marvelous works. I imagine while she was writing, that Cassandra helped her mother run the house and oversee the servants. why did the call tom fowle robert in the movie? So that they don't confuse Thomas Lefroy with Thomas Fowle. There's an article at the back cover of the March/April Jane Austen's Regency World Magazine by Sue Hughes that stated such a fact (the change from Tom Fowle to Robert Fowle). Perhaps Tom Fowle's middle name was Robert? That would make a better sense. ok so i noticed now that they called him mr. fowle, makes a little more sense. 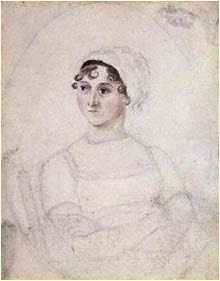 I'm doing a research paper on Cassandra Austen's influence on Jane Austen. I found a few very good quotes from this blog, and I would like to cite them in my paper. I wouldn't want to pass of any of your work as my own, so I was wondering if there was any way I could get the author's full name so that I can give them full credit, that is if they allow me to quote their writing. If you're talking about this particular post, it was written by Rachel Kingston. I'm very certain that Rachel would be pleased with the quote, but let's wait 1-2 days for her to reply. You can quote Rachel Kingston from Becoming Jane Fansite (mention the URL and date of download) in your paper. If you're using EndNote, you can use the electronic source option in the reference section. If you're referring to other sections from this blog, you can find out who the poster is (either Icha, Rachel, Linda or Michelle) and quote them. You can email me at tara_parvati@yahoo.com and rachkingston@aol.com for more details. 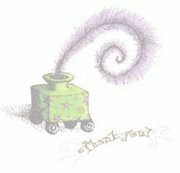 Thank you very much for your research interest! 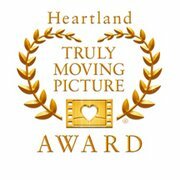 I would very happy for you to use any of the material written on our blog. Thank you very much for your interest. ‘Hole in the Wall’ by Purcell! 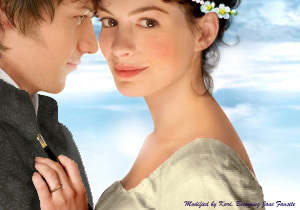 'Becoming Jane' clips in U.S. Official Site! Which Jane are you? Take a Jane Austen quiz! 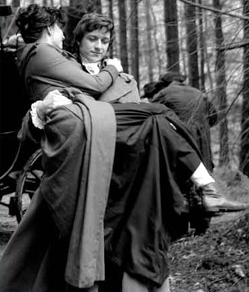 Deleted Scenes of 'Becoming Jane' in the DVD! 'Becoming Jane' discussion with Anne Hathaway! The U.S site is updated! Fancy a bit of Regency Romance? JA: A lively young woman or a dull spinster?